Every day millions of space rocks enter the Earth’s atmosphere. 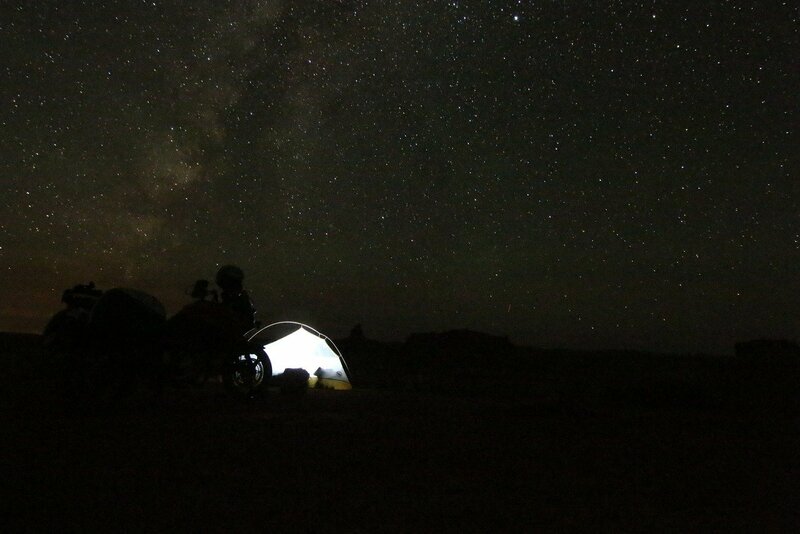 Any night, if you stare at the sky long and hard, you are likely to spot a meteor or two. But the most reliable (and predictable!) way to see shooting stars is to know the dates of meteor showers. In October two meteor showers will decorate the Autumn skies: Draconids and Orionids. Draconid meteor shower will be active in October 2-16, with the peak on October 7. Draconids is not a mighty shower and it’s intensity varies from year to year depending on what part of the comet’s tail the Earth is going through. This year we expect to see around 10 meteors every hour. Not much! On the bright side, the peak in 2018 will occur just before the New Moon (which is on October 9) meaning that the conditions will be, weather permitting, nearly perfect for observations! Draconid meteor shower, as the name suggests, is associated with the constellation Draco the Dragon. This is where the radiant of the shower lies. Draco is a circumpolar constellation, meaning it never sets when viewed from the Northern Hemisphere and you can see it all year round. 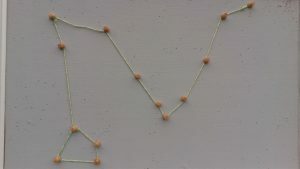 Draco constellation is a group of stars that look like a serpent curving between the Big Dipper and the Little Dipper. 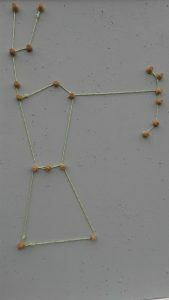 It is one of the largest constellations, occupying a large area of the sky. To find the radiant of the Draconids, look for the eyes of the serpent. There are many different legends associated with this constellation. According to Greeks, the dragon was a watchful guardian of the golden apples in the Hesperides Gardens and he was killed by Heracles. Particles of the Draconid meteor shower come from the comet 21P/Giacobini-Zinner independently discovered by the two scientists, French astronomer Giacobini in 1900 and German astronomer Zinner in 1906. 21P is a small comet with a central part (or nucleus) around 2km across. The comet orbits the Sun once every 6.6 years. The iceball made it closest approach to the Earth (and the Sun!) last month, in September 2018. We sometimes call the shower “Giacobinids”, by the name of the first discoverer. Orionid meteor shower will be active throughout October-beginning of November with a peak on October 21-22. It is one of the most reliable showers of the year, but not especially productive one. The peak rate is usually 20-30 meteors per hour. This year the shower will peak just before the Full Hunter’s Moon (which occurs on October 24), so the conditions will not be ideal for observations and we should not expect to spot more than a few shooting stars every hour. The radiant of the Orionid meteor shower lies in the constellation Orion the Hunter. Orion is the most recognizable winter constellation in the Northern Hemisphere. To find Orion look for three stars in a row that make Orion’s Belt! There are many different legends about Orion and different stories about how he was born, lived and died. According to our favorite story Orion was born when the tree gods, Zeus, Neptune and Hermes, granted a poor farmer’s wish to have a son. Orion grew up and became a skilled hunter who enjoyed hunting and killing animals. To stop the killings, Artemis, the goddess of the hunt, sent a huge scorpion to attack Orion. The hunter was stung but at the last moment he was given an antidote and saved. The parental body of the Orionids is a well-known 1P/ Halley, or Halley’s comet named in honour of the English astronomer Edmund Halley. Halley was the first to point out that five comets observed throughout the history were in fact the same object making its periodical return to the inner Solar System once every 75 years. He predicted its next appearance but didn’t live long enough to see it! The Halley’s comet produces another shower, Eta Aquariids, visible in May. The most recent visit of the Halley’s comet happened in 1986. We should see it again in 2061! Let out space dome team know or visit our inflatable planetarium to learn more about stars, constellations, meteors, comets and other small (and big!) Solar System bodies!